RFL is having ISO 9001: 2008 QMS complined system . The company was conceived with the ‘SUPREME QUALITY’ factor in mind. RFL keeps shaping itself according to the latest technology of perfection, growth and development. This has been augmented by a well-equipped lab for metallurgical testing and stringent quality control inspections. They are passed by highly efficient quality-control personnel.
. Our quality has bonded us with the customers and propelled us into leadership. The most trusted name in Indian aluminium industry. Raviraj Manufactures aluminium foils with state of the art manufacturing technologyfor varied applications . 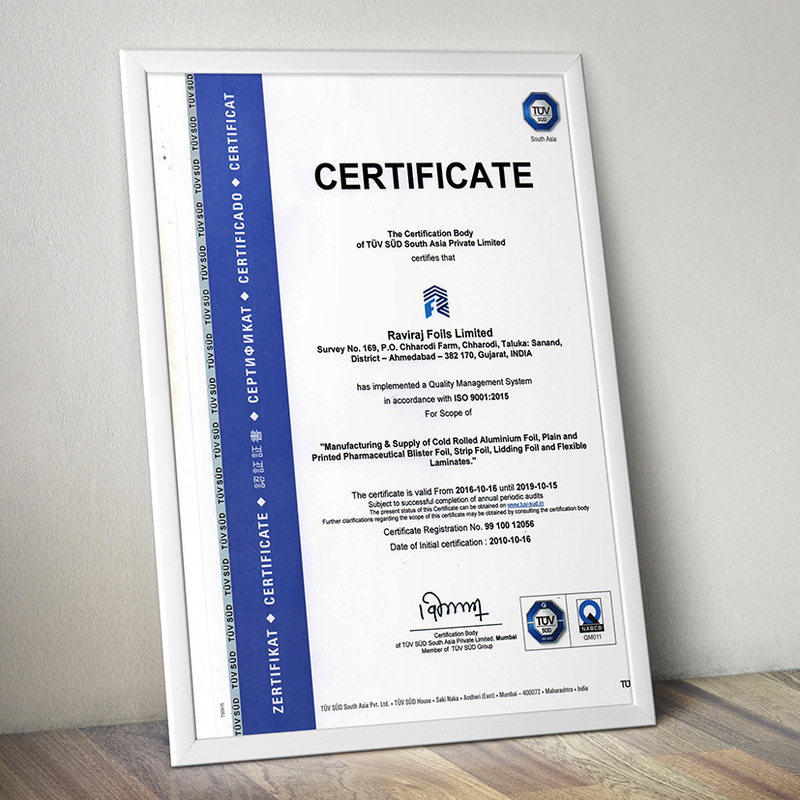 FIRST – Aluminium foil and foil based primary packaging material manufacturing company in INDIA to get GMP Certification. 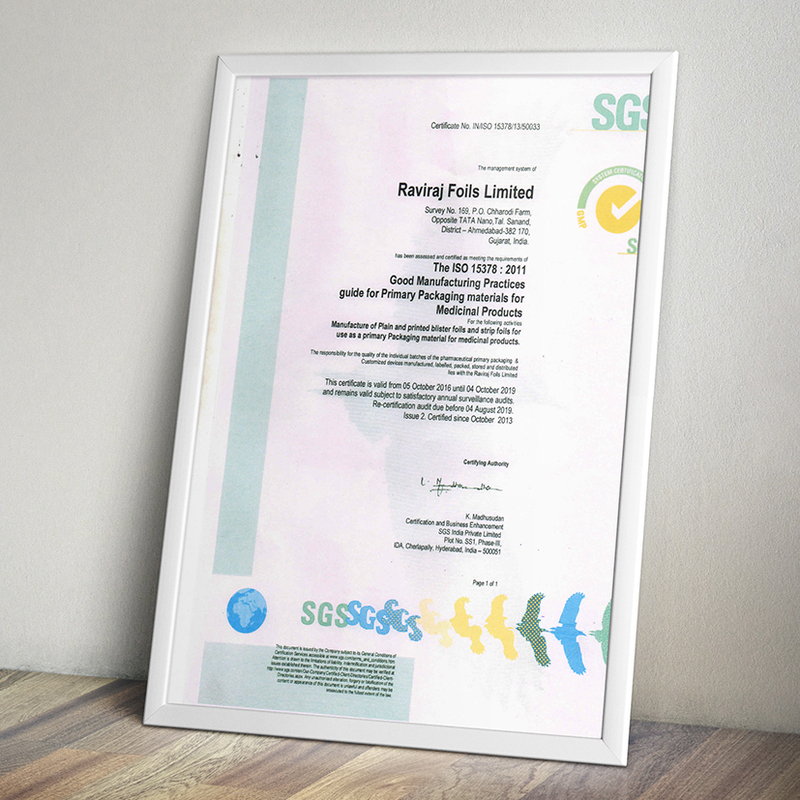 Raviraj Foils Limited has been certified for ISO 15378:2011 QMS by SGS Switzerland Ltd .